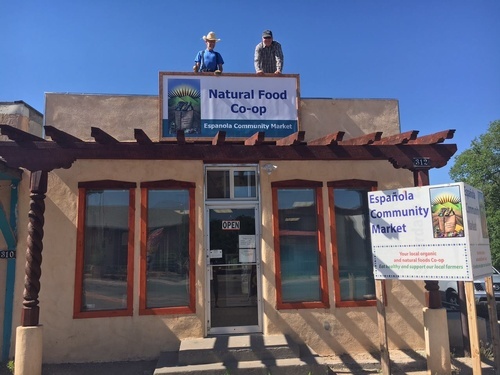 Espanola Community Market is a cooperatively owned food market in the heart of downtown Main Street Espanola. We are open to the general public and feature locally grown organic and pesticide-free produce, diary products, bulk grains and beans, baked goods and much more. Traveling south on Hwy 285 (Riverside Drive) turn right onto Paseo de Onate. After crossing the bridge, our store is directly across the street from the Rivera Funeral Home.